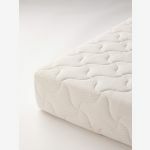 Designed by Oak Furniture Land as a great starter mattress, the Maxi Cool single is constructed from the best quality foam with a high resilience core. 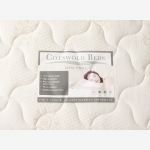 Gently supportive with natural anti-allergenic and mite-resistant qualities, this no-turn mattress has a softly comfortable quilted cover made with special fibres which provide cooling properties. 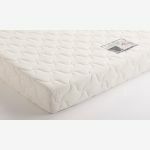 Choose between our free or express delivery, and the Maxi Cool mattress will be delivered vacuum packed to the room of your choice.